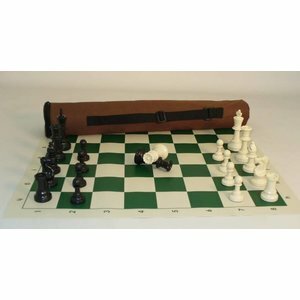 A great chess set for beginners and masters alike! 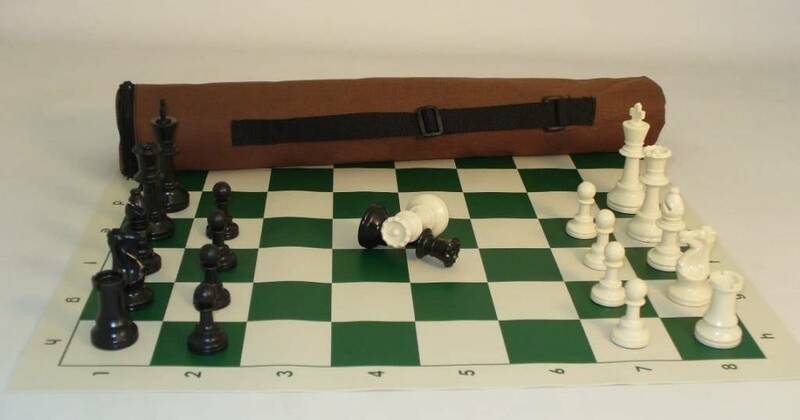 Tournament chess kit. 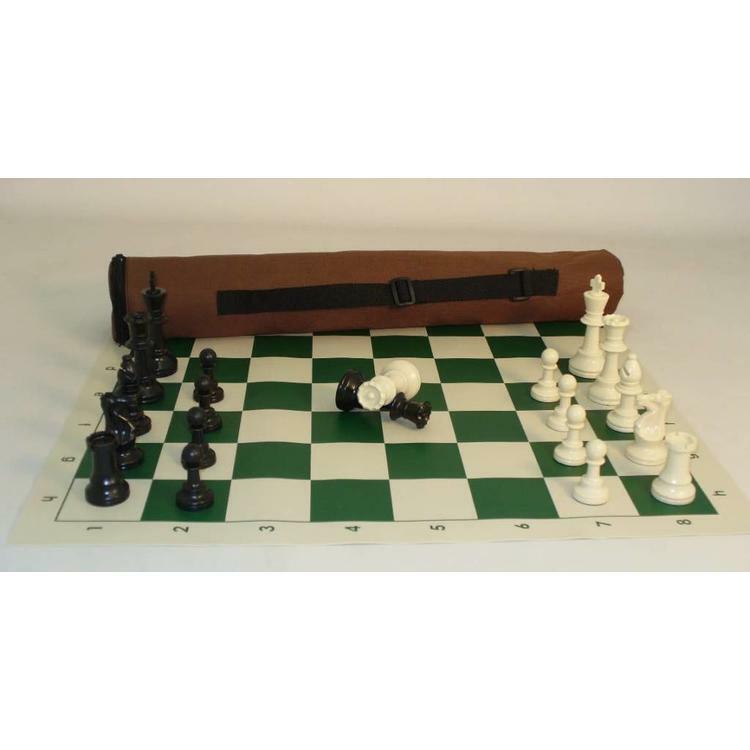 Comes with brown canvas tube tote with shoulder strap weighted chess pieces with 3 3/4" King double queens and vinyl chess mat.